Welcome to my website! I love to capture pictures that reflects the special moments and creativity. If you are a couple, have a family or babies you want me to take pictures of – I will gladly help you. As a weddingphotographer I am based in Oslo, but I can travel worldwide or I can capture your special day anywhere in Norway. Please contact me if you have any questions about photography or prices – I look forward to hear from you. 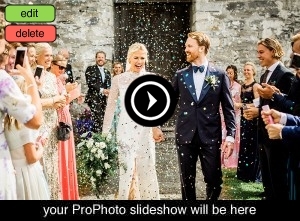 Below you will find prices for weddingphotography and packages. This package include about 6 hours photography of the bride/groom getting ready, during the ceremony, the weddingshoot on location and the beginning of the dinner. The package also include 100 high resolution digital pictures, handpicked by you. You will also get a webgallery with all the pictures from the session (about 400), these pictures are low resolution, watermarked files. This package include about 10-12 hours photography of the bride/groom getting ready, during the ceremony, the weddingshoot on location, the dinner and the party. The package also include 200 high resolution digital pictures, handpicked by you. You will also get a webgallery with all the pictures from the session (about 600), these pictures are low resolution, watermarked files. *The prices is without travel costs outside Oslo, Norway. These costs depends on distance and the price on hotels, airlinetickets or traintickets.